While Sony didn't announce any high-end smartphones at MWC 2015, the Japanese company did unveil a brand new flagship tablet: the Xperia Z4 Tablet. Unfortunately, it looks like Sony will launch the Z4 slate only starting June. According to French website FrAndroid, prices for the Xperia Z4 Tablet will start at €559 in France - this is how much the Wi-Fi-only version of the slate will cost. The Xperia Z4 Tablet with LTE should cost €659. If you want to buy the new Sony slate together with a Bluetooth keyboard (which transforms the tablet into a mini laptop), you'll have to pay €659 for the Wi-Fi-only model, and €759 for the LTE one. Measuring 254 x 167 x 6.1 mm and weighing 389 grams, the Xperia Z4 Tablet is the world's thinnest and lightest 10-inch slate (it's just as thin as Apple's 9.7-inch iPad Air 2). But that's obviously not the only highlight of the Z4 Tablet. Running Android 5.0 Lollipop, the device sports a 10.1-inch "Live Colour LED TRILUMINOS" display with 1600 x 2560 pixels, and is powered by an octa-core Qualcomm Snapdragon 810 processor. Other features include an 8.1 MP rear camera, 3 GB of RAM, microSD card support (up to 128 GB), and a 6000 mAh battery. Moreover, just like Sony's previous tablets, the Z4 is dust- and water-resistant (IP68-certified). For a closer look at Sony's brand new slate, check out our Xperia Z4 Tablet hands-on. 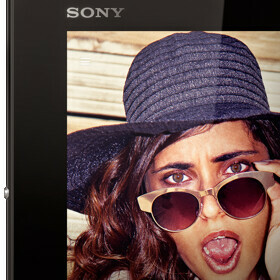 Update: Sony France is now confirming that prices for the Z4 Tablet are starting at €559. We assume that prices in the US will start at $559. Please, you can't even afford it. How is a slower, lower resolution tablet that cant run multiple apps at once more productive? Because we use the words like Innovative multiple times in a day like brainwashed zombies. You know what's cheaper and more productive than you iPad mini? My car's front wheel/tire, it will break your ipad mini when it run over it. And Subaru included 4 for free with the car. I would love to have one but I really have no use for a tablet. How could a Company that is struggling price a tablet higher than the market leader, with that being the Apple iPad. To see Sony just throwing away their mobile division is sad. It doesn't matter what kind of crazy specs the devices has. Sony does NOT have an equivalent brand value to Apple in the tablet space. Although we know this tablet may best the iPad, your most general consumer will not. Seriously Sony, wake up. Tab S 10.1 has been running on those specs for 9 months now, with Amoled screen, bunch of multitasking features, and it doesn't have the SD810 oven. Now it is selling for $369. Only Sony slaves will buy this overpriced Photo frame. Yes, but watch Erica griffins review about it. She tested it, and the UI will constantly drop up to 20 frames at a time, making it quite unpleasant. Oh crapsung slave, desperately lying to get some attention. Ugly, heavy PoS Crap S 10.1 is running on a year old chipset. It's an overpriced PoS at $369. Overpriceed photo frame? That sounds ridiculous. sony is desperately trying to milk every single penny out of the avid followers of their products. first the $2000 mp3 players, $200 microsd card, now a $800 android tablet. The tablet doesn't cost $800. The new premium Walkman doesn't cost $2000. It's 1200, and it's for people who are sensitive to sound, not your average John Q.
Sony really needs to fix their problem of overcharging for their products. I would never pay that much for a tablet. Agree. They could charge $100 less, so they don't have to adjust the price in the next 3 months because they barely move a few thousands units. Asus transformer book chi. With core M and full Windows OS and With bluetooth keyboard dock and 128 gb SSD starts at 700$. Sony you have got to be kidding. I don't understand what you're saying, the keyboard package for the Z4 tablet is still cheaper than the Asus Transformer.